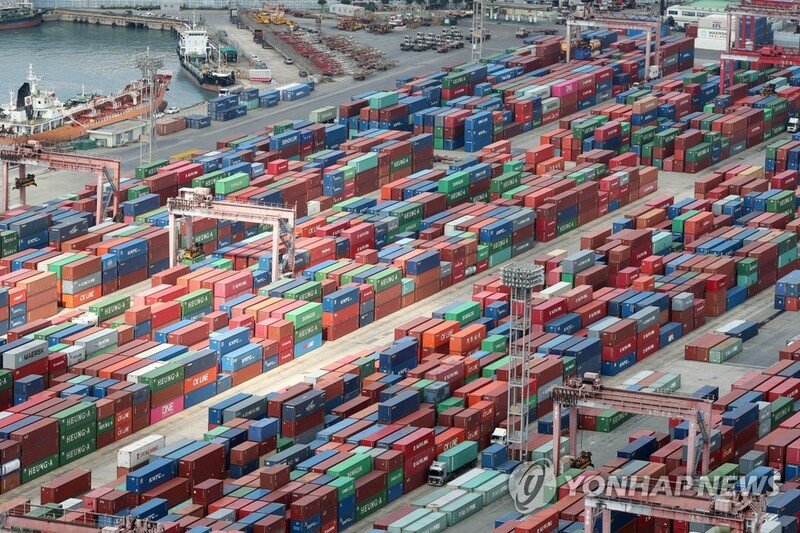 (SEOUL=Yonhap News) South Korea's current account surplus continued to show positive numbers for 80 straight months in October thanks to solid exports, central bank data showed Thursday. The country's current account surplus came to US$9.19 billion in October, up sharply from $5.72 billion a year earlier, according to the preliminary data from the Bank of Korea (BOK). The number, however, decreased from September when it stood at a 12-month high of $10.83 billion. Also, Asia's fourth-largest economy has maintained a current account surplus since March 2012. In the goods account, exports jumped 28.8 percent on-year to a record $57.2 billion for October, far outnumbering imports of $46.24 billion, which soared 33.5 percent on-year. As a result, the goods account surplus rose to $11 billion in October from $8.6 billion a year earlier. The service account remained in the red, logging $2.22 billion in deficit for the month, narrowing slightly from $2.52 billion a year ago. The deficit in the travel account also decreased on-year to $950 million in the one-month period, marking the lowest monthly figure since November 2016. Some 1.5 million foreigners came to South Korea in October alone, up 31.1 percent from a year earlier, while the number of South Koreans who went abroad climbed 5.2 percent to 2.3 million.